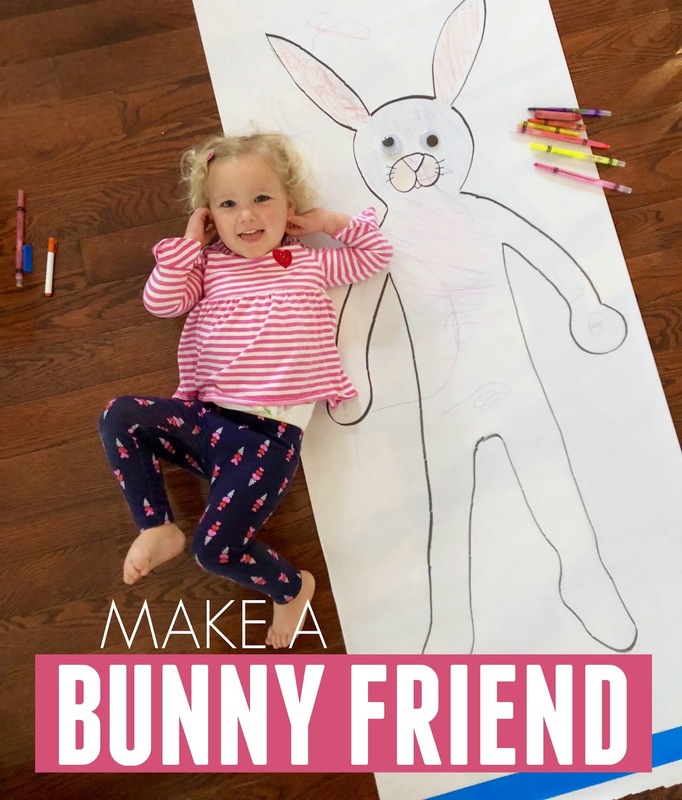 This was seriously the funniest activity we've done all week... and involved both kiddos (kind of :)). The baby was the trickiest to try and trace, but my son thought it was so hysterical to color "on top of" his sister! I have had this huge sheet of cardboard for awhile from some furniture we ordered. My mother in law saved it for me because she knew we'd find something crafty to do with it. I look at it every time we go into the garage... and I finally thought of something yesterday! You could also use butcher paper, it just won't be as sturdy. First, I had both kids lie down and I traced around them with pen (pencil would've been better, but I couldn't find one!). This crazy girl kept rolling side to side, so it was quite a challenge. Next, I traced over the bodies with a black Sharpie and added bunny ears! That is when the laughing started. So we broke out our dot markers and went to town coloring. This was my son's idea. He is obviously much smarter than I am. Once the paint dried, we added an oval on the face and then glued pom poms on as noses. Next came googly eyes. Also, my son's idea. And then he glued cotton swabs on as whiskers! We stood them up once they were dry and he loved standing next to his bunny friends and saying "hi!" and talking to them. He thought it was even funnier when his baby sister lied next to her bunny friend and kept rolling onto her side to check her out. 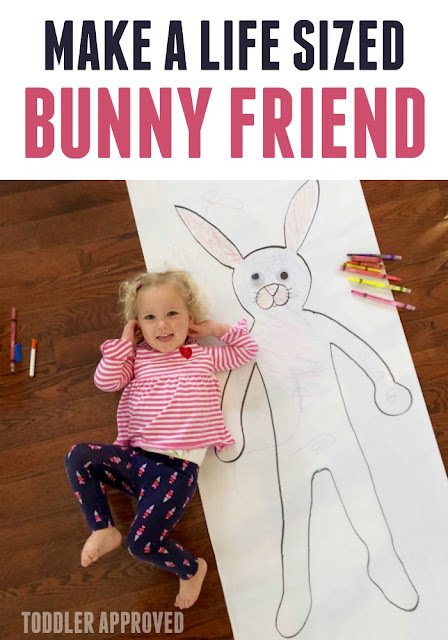 This activity took us probably an hour and a was a whole family project! The baby loved sitting in my lap and watching her brother pound and swish with the markers on the paper! We wrapped up our activity by reading (and re-reading) The Best Easter Basket Ever! by Lucinda McQueen before everyone went down for their naps. 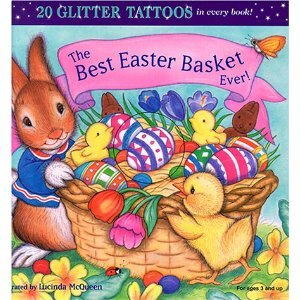 It is a cute book about a bunny who is learning how to be an Easter bunny and fill easter baskets. What a fabulous I dea, these look like so much fun!